On the 2nd and 3rd of November this year, The Peppermint Group will be holding its yearly "High Tea Party" at the Hilton, Sydney. The event presents the perfect opportunity to indulge in some yummy treats, whilst watching a series of fashion parades. It's the ideal girls day out! Tickets are $100 per head, which includes a "high tea" of sandwiches, chocolates, cakes and scones, unlimited tea and a glass of sparkling wine. Throughout the day, attendees will also be treated to complimentary pampering, styling, makeup workshops, massages, food tastings and the fabulous 'Portobello Road Market' stalls stocking boutique fashion and accessories. A delightful "goody bag" of treats is available to take home upon conclusion of the day's festivities. "The High Tea Party" is also being held in other states throughout Australia. To find out more about the event or to purchase tickets online, visit http://thehighteaparty.com.au/. Whilst Mercedes-Benz Fashion Week is an invite only affair, Fashion Festival Sydney is an event especially designed with the buying public in mind. Showcasing the best of the spring/summer 2013/2014 collections from a dizzying array of successful Australian fashion designers, guests can choose to attend the "trends" show (featuring designers such as Bec & Bridge, Camilla & Marc and Alice McCall), "red carpet runway" show (featuring iconic designers Colette Dinnigan, Alex Perry, Jason Brunsdon and Toni Maticevski) or retailer specific shows (think Sportscraft, General Pants and online retailer Jasu). The four-day festival offers the fashion savvy the opportunity to witness the new season's aesthetic and mentally picture their revamped spring/summer wardrobe before the collections hit stores. Bringing an explosion of glamour and style to the streets of Sydney, Fashion Festival Sydney is a "must attend" event, not just for the fashion-obsessed, but for anyone with a genuine appreciation for the design talents of Australian fashion creatives. Ticket packages start from $50 and can be purchased by clicking here. For a copy of the official schedule, click here. Get ready ladies, Sydney's best fashion day out is back in less than 60 days and NetStyleShopper readers get a 20% discount on tickets!!!! Each time I attend Fashion Weekend, I walk out with bags full of incredible designer buys all at a fraction of the recommended retail price. Last year I purchased two designer dresses, a necklace, travel wallet and a pair of shoes for a combined total of $300 (the RRP value exceeded $1000)! Designers setting up shop this year include one of my favourite Aussie fashion labels Bec & Bridge and sassy shoe label Belanci. Other designers include: Bless'ed are the Meek, By Johnny, Joveeba, Nicola Finetti, Watson X Watson, Stylestalker, Talulah, Shona Joy and chic jewellery brand Sollis - with plenty more to be announced in the coming weeks! Back this year are the designer catwalk shows highlighting the best looks of the season, plus a new feature - fashion advice talks. Australia's most awarded hairdressers, Toni & Guy, will again be offering $25 blow-dries in the Beauty Hub, whilst the girls at the Napoleon Perdis Make-Up and Lash Bar will ensure you are 'prettied up' for a night out on the town. If you're thinking of pursuing a career in modelling, you may want to come along with the hope of being discovered by a scout from Chic Model Management. They use Fashion Weekend to hunt for new and exciting talent. This year's Fashion Weekend will take place over 4 days at the Royal Hall of Industries, Moore Park, NSW, from Thursday 16 May 2013 until Sunday 19 May 2013. To purchase tickets at the special 20% discount (excludes VIP tickets) simply go to http://www.ticketek.com.au/fashionweekend and enter code FWS04 when prompted. 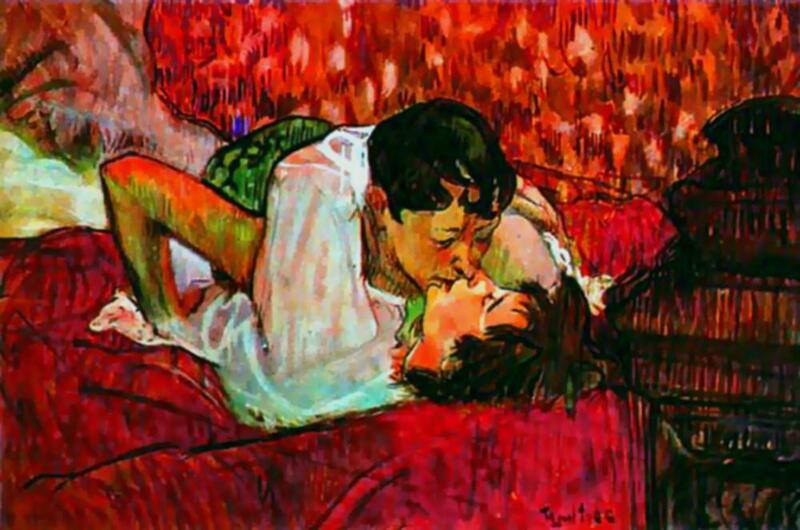 I’ll admit, I was first introduced to Henri de Toulouse-Lautrec in Baz Luhrmann’s sumptuous movie “The Moulin Rouge”. I later learned he was, in fact, a very famous post-impressionist painter, most renowned for his images of the colourful and theatrical life of Parisians in the late 1800s. Until 2 April 2013, the National Gallery of Australia, Canberra, will be hosting a series of Lautrec's works depicting the Paris social scene, the dance halls, the café-concerts, the brothels and theatres. His works on display also include the infamous series of posters he produced for the Moulin Rouge – the birthplace of the modern form of the can-can dance. Unfortunately, I won't have the opportunity to personally witness this visually tantalising exhibition, but if you attend, I would love to hear what you think. You can find out more details about the exhibition here. French Film Festival 2013 - Tres Magnifique! I love the French. I admire their style, language, creativity and deep appreciation for aesthetics. Chanel is my favourite fashion house, Marie Antoniette my favourite historical figure, Vanessa Paradis my favourite singer and Monet my favourite painter. Excelling at food, fashion, art and cinema, the French seem to do everything well... which is why I am so excited for the French Film Festival taking place in Sydney (and in other states) in March. Thanks to Franck Provost Paris - Australia (my fabulous hairdresser), I have a double pass to see any movie of my choice. I'm still undecided, however, as there is such an array to choose from. In Sydney, the festival is screening at the Palace Norton Street Cinema, Palace Verona Paddington, Chauvel Cinema and the Hayden Orpheum Cremorne. You can check out what movies are showing where and when here. It's that time of the year again - the catwalks of the northern hemisphere are in overdrive showcasing the best collections on offer for Autumn/Winter 2013. So it only seems fitting that Fashion Palette are holding their inaugural Spring/Summer 2013/2014 runway show for the southern hemisphere on Thursday, March 7 at the Australian Technology Park. "Fashion Palette" is all about showcasing the exceptional talents of a blend of new and established Australian-based fashion designers. It also provides the opportunity for new fashion blood to connect with industry veterans so that, together, they can continue to grow Australia's unique fashion culture. September 2013 will also see Fashion Palette’s second year in New York City, with ten of Australia’s top talent flying to the big apple to elevate their labels to an international level. This year's runway line-up is no less than exceptional with creations from designers including Akira Isogowa, Arthur Galan and Gemeli Power on display. If you haven't got your ticket yet, you are CRAZY! Be sure to purchase one here. I assure you that you won't want to miss this.